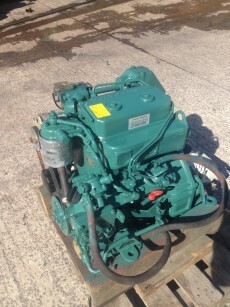 Volvo Penta 2002 Twin Cylinder 18hp Marine Diesel Engine complete with MS2B Transmission, Control Panel & Wiring Loom. 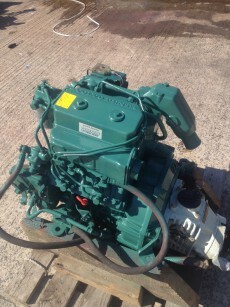 Engine removed in full running order as a good starter and runner with no apparent defects. Cylinder head removed for inspection and found to be in good order. Cylinder head waterways cleaned, valves re-lapped and head reinstalled on a new head gasket. 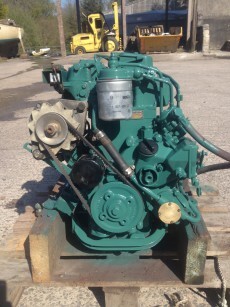 The engine has been cleaned and re-sprayed to a good standard and is now ready for work.